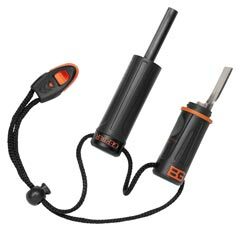 The product of collaboration between Gerber and survival expert Bear Grylls, the Survival Series Fire Starter is a must-have for scouting, camping, and hiking expeditions. Small and compact, this fire starter offers years of use. Watertight construction keeps tinder safe and dry, so when you need it, you can trust that it’s ready to use. 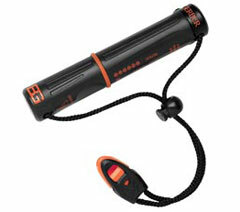 The Fire Starter is part of the Gerber Bear Grylls Survival Series of gear. This collaboration brings together Gerber’s 70+ years of knife and gear expertise with Bear Grylls’s extensive outdoor survival and adventure experience to create a one-of-a-kind line of knives, tools, and gear. The Fire Starter contains everything you need to get a fire going—simply pull the unit apart. It features a ferrocerium rod and a metal striker, as well as a waterproof storage compartment to keep tinder dry. A lanyard keeps each piece of the product secure while it’s open, and has an integrated emergency whistle for quick access when you need it. 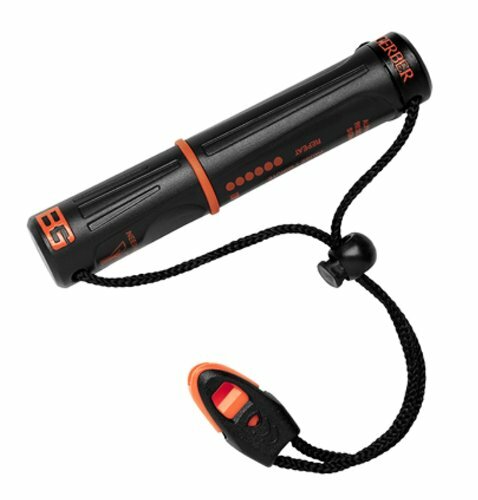 Measuring 4-4/5 inches when closed, with a weight of 2-3/5 ounces, the Fire Starter fits neatly into a backpack or gear bag. It is a self-contained, waterproof unit that can be easily converted into a fire-starting kit by pulling the two ends apart. 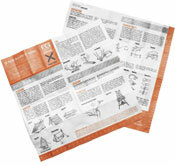 This tool comes with land to air rescue instructions and BearGrylls’ informative Priorities of Survival pocket guide, loaded with survival basics designed to help keep you alive until you can be rescued or rescue yourself. Fire starter kit with starter, rod, and lanyard, and pocket survival guide. From the highest peaks of the Himalayas, to the rainforests of South America, if world renowned outdoorsman Bear Grylls is on an adventure you can be sure he’s equipped with the most durable outdoor gear Gerber has to offer.